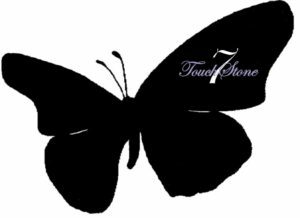 Their Voices - TouchStone7, Inc. I just turned 18 over the summer and I was about to start my Senior year in high school. I couldn’t wait. Prom and Graduation. I just had to get in my college applications and that was that. Or so I thought. 2 weeks before school started, I had to go see my social worker about my foster home. I‘ve been in foster care for the last 3 years. My mother is on drugs and my father was never around. I‘ve been in 3 foster homes, but the last one was okay. I got to stay in the same school and be with my friends. Anyway, I went to see my social worker and she told me that they were moving me to a group home in another county because I turned 18 and I couldn’t stay at the house I was in. She said she tried getting my Auntie to take me but she said there wasn’t any space for me with her. I just started crying. I wasn’t going to be able to finish high school with my friends and I was going to be in another county. What?! I was never close with any of my family. There really wasn’t anyone left. A miracle happened though. There was a lady standing near by and I guess she heard our conversation and she told my social worker that she lived in Newark and she had a spare room in her house that I could stay in so that I could finish my Senior year. She said she had 2 little boys and owned the house she stayed in. I thought I was hearing things. My social worker was surprised too. She said she would send the social services people to the house to make sure it was okay for me to stay there. I just hugged her so tight and couldn’t stop crying and saying Thank you. In 2 days I was living with her and her family. When I got a little money from the state, I went to give it to her but she wouldn’t take it. She told me to keep it. It’s been over a year. I was able to finish high school with my friends and go to Prom. I started school at Rutgers and I‘m doing well. I don’t know what I would have done if she wasn’t standing there that day. I wonder where I would be now. She didn’t know me from a hole in the wall but she did something for me that not even my own family would do for me. I wonder about other kids like me. You know the ones with family out there but really have no real family out there…or the ones with no family at all. All I know is that I‘m grateful. I was lucky. I‘m not really sure what’s happening right now. I‘m a junior in high school. I get good grades. I did really well on my SATs. I‘m in the Honor Society at my school. I volunteer every week. I work a little part-time job on the weekends. I even helped start a program to help educate people on the lack of clean water in other countries. But I don’t have anywhere to live. I don’t want to tell my friends or anyone. I sleep where I can, but it’s hard to stay awake at night sometimes. I end up sleeping in a Dunkin’ Donuts or a McDonald’s that stays open all night. I have a locker that I rent where I can keep my stuff. I‘ve never been in the system and I don’t want to start now. I only have one year in school to go, then I‘ll be in college and I can stay on campus. I should be ok. I hope. My nephew stays with me. He‘s only 14 and I’m 25. I don’t know how much longer I can keep him with me. His mother is homeless herself and she just goes around staying in shelters or hanging on the street like she doesn’t have a child to take care of. She tells me she’s going to send money but she never does. And I’m barely making it myself. I hate where I live. It’s not a good place for me so I KNOW it’s not a good place for him. He‘s been moving around so much that his his school is so far out of my area. It’s at least a 30 minute bus ride from where I live. He doesn’t legally live with me so we can’t get him to change school districts. He‘s a really smart kid. He‘s into computers and stuff like that. He‘s not in the system, but I think I might have to call DYFS so he can be taken care of better than I can take care of him. I don’t want to but his mother is not really giving me a choice. He misses school a lot because it’s so far and his mother always promises to get him a bus card but that never happens and I can’t afford to buy one for him every month. I was able to get him a library card and show him where the library was. He likes going there a lot. I feel like if I have to call social services things will be bad for him. He might change and start hanging out with bad people or start smoking like I see these young kids doing around here. I don’t want him to think I don’t want him around but having to take care of a kid his age when I’m scraping by myself? It just can’t go on much longer. It’s hard out here. I’m not sure where to go from here though. He‘s 14 about to be 15, so he‘ll probably just stay in the system and be moved around all the time because people aren’t looking to adopt teenagers his age. You’re talking about 17 years old…he has 2 years to go to get there, so what happens to him until then? Are you in the system or have aged out and have a story to tell? Do you have someone else’s story to tell? …and others can know your story, too.